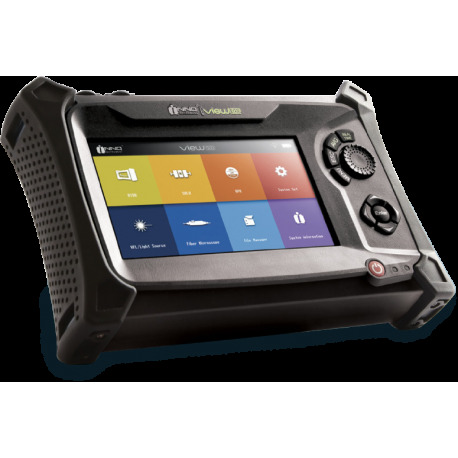 The VIEW500 OTDR, for installing and maintaining fiber optic cables, features high precision test capabilities, fast response time and user-friendly operation with the multi-point capacitive touch screen. 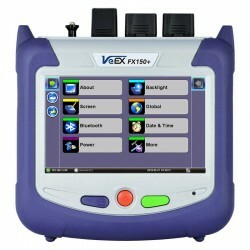 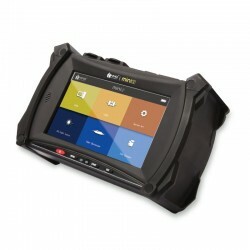 This smart machine also offers accurate and fast test results and creates a report automatically. 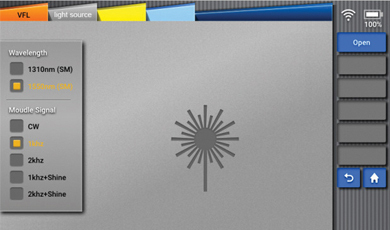 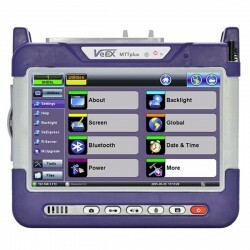 The VIEW500 is equipped with an industrial grade CPU for creating and storing test results. 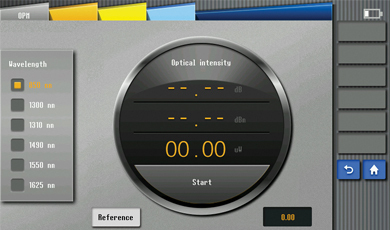 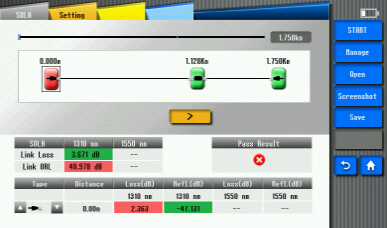 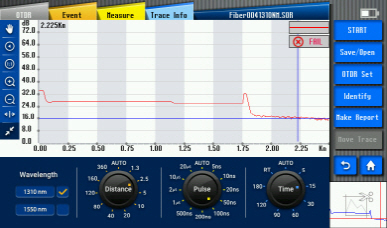 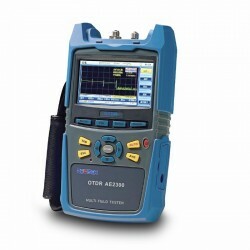 OTDR mode allows for measuring distance, loss, reflectivity, attenuation and accumulation loss on a fiber optical link. 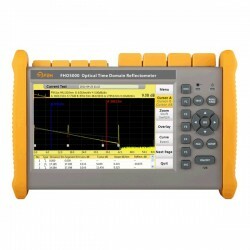 SOLA is an application for the OTDR, designed to simplify OTDR test process without the need to configure the parameters or analysis while parsing multiple complex OTDR curves. 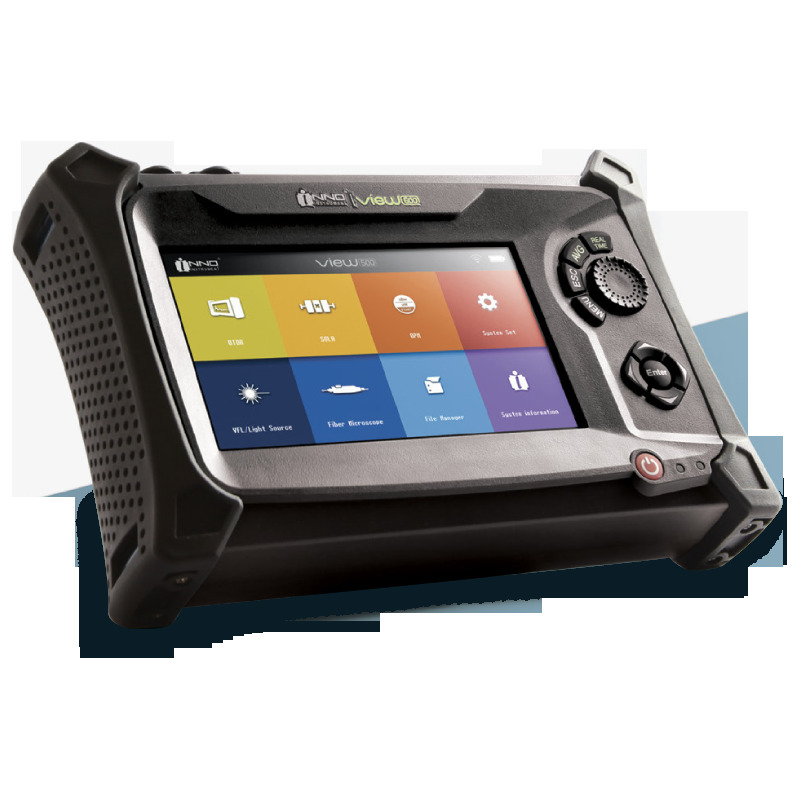 VFL allows for finding direct fault locations in fiber test dead zones or performing fiber core calibration in multi-fiber cables. 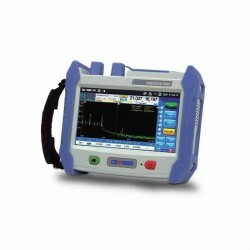 Fiber end tester (peripheral required) is mainly used to test the cleanliness and flatness of the fiber end face. 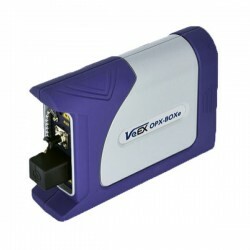 OPM is used for measuring the absolute optical power meter or relative optical power loss through the span of the optical fiber. 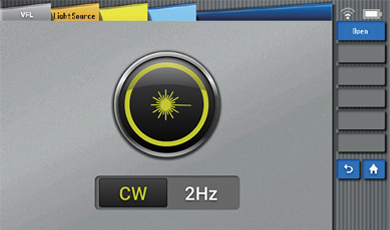 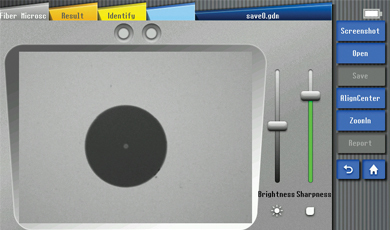 Invisible light source (1310 or 1550ns) can provide the following types of light, including CW light, 1kHz light, 2kHz light, 1kHz blink light, 2kHz blink light.